The admit card for the BCECE will be published on the login page of the candidates at the dates mentioned below. 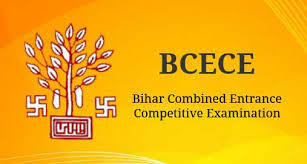 The admit card is an important document for all candidates wishing to write BCECE. The admit card is equivalent to a hall ticket. The admit card for the 1st stage of the exam can be downloaded at the above-mentioned date by the candidates who have successfully submitted their registration form or the application form. The candidates could download the admit card for the 2nd stage of the exam only if they have cleared the 1st stage of the exam successfully. The admit card will not be issued if the candidate's application is incomplete. Therefore, candidates are requested to check that all the required details are mentioned in the application so that they are issued an admit card. The candidates should visit the official website of the board of BCECE. The admit card can be downloaded on that website. They should click on the link that refers to download the 1st stage admit card or the 2nd stage admit card regarding the position of the candidate in BCECE. After the admit card is successfully downloaded, the candidates should check the details of them carefully in the admit card. Then the candidates shall take a printout of the downloaded admit card. Applicants must protect the admit card until the interview/ admission process gets over for the purpose of verification. The students are not allowed to enter the examination hall if they fail to carry the valid admit card. The admit card contains details such as the candidate's name, application number,slot, date of examination, test centre's address and other important details. The candidate must ensure that all the details on the admit card are correct. If not, the discrepancies must be brought to the notice of the exam conducting body. The admit card must be presented to the invigilator at the test centre for verification. The candidates need to carry a photo identity proof along with the admit card to the examination centre for BCECE. The downloaded admit card will be considered as a valid admit card.